New patients frequently want to do a liver detox. They know little or nothing about the process, but feel that’s a good place to start. Nothing could be further from the truth. While we all can benefit from periodic liver detoxification, several other issues must be addressed prior to attempting to “cleanse” the liver. In the QA (Quintessential Applications) protocol, the liver is step 19 of 32, not step one. Most of my previous Wednesday Wisdom blogs have addressed the previous 18 steps. So after resolving any hidden adrenal issues (see last Wednesday’s blog), we evaluate the liver. Everything that gets into the blood stream and needs to be removed must go through phase 1 liver detoxification. The process alters the chemistry of substances so they can be removed through the bowel or kidneys. Caffeine is removed through phase 1 detox. In the office, I use a caffeine challenge as a test for the phase 1 pathway. The Cytochrome P-450 pathway is also a part of phase 1. Many prescription drugs begin to be removed from the body through the P-450 pathway. As mentioned in previous blogs, Silymarin (Milk Thistle), St. John’s Wort, and Black Cohosh all affect this pathway. The use of any of these herbs may be contraindicated with certain prescription drugs. For example, Coumadin, a common blood thinner, is rapidly removed from the body when the cytochrome P-450 pathway is enhanced by taking St. John’s Wort. In a similar fashion, the proteases used to treat HIV/aids are also removed so fast, that they have no effect of the virus they are designed to treat. Phase 2 liver detoxification is reserved for those chemicals that can not be made water soluble in phase 1. Unfortunately, most chemicals that require phase 2 liver detox become more toxic after being processed through phase 1. When people undertake a liver detox program and feel ill, it is usually the result of ramping up phase 1 to the extent that phase 2 detox can not keep up and the toxic intermediate by-products of phase 1 build up in the blood stream. One hundred years ago, the only chemicals that required phase 2 liver detox were the hormones we made and alcohol. However, virtually every man-made chemical, all the artificial favors and additives in our foods, and most drugs require phase 2 liver detoxification. All the hormone additives that have found their way into our drinking water and the 800 plus hormone disruptors in our environment also need this extra step to be removed from the body. The processing of estrogen through the liver demonstrates the phases of detoxification nicely. Once estrogen has been used by the body it enters the liver. During phase 1 detox, a hydroxyl group (OH) is added creating dehydroxyestrogen. There are three forms, 2-hydroxy, 4-hydroxy, and 16-hydroxy depending on where the OH group is added. All three forms are more toxic than estrogen, but the 16 form is highly carcinogenic. To be eliminated, dehydroxyestrogen must go through phase 2 liver detox to be made water soluble, it is then eliminated through the bowel and kidneys. Poor phase 2 liver detox is a major factor in the cause of estrogen dominant breast cancer. Several studies have shown that the use of a cruciferous vegetable extract (supports phase 2 detox) makes the cancer drug Tamoxefin, 50 times more effective at preventing recurrence of breast cancer. Virtually every patient that enters my office is suffering from impairment of phase 2 liver detoxification. New patients complete a Symptom Survey in my office consisting of 240 questions about various symptoms they may be experiencing. The survey is then computer analyzed, categorizing the symptoms by potential organ of origin. 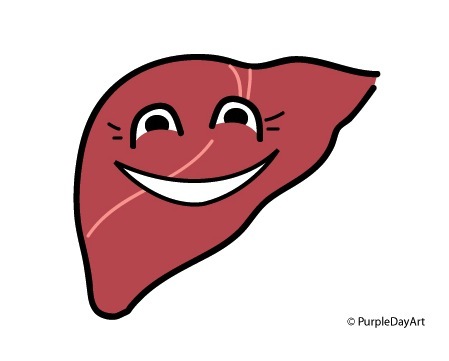 Ninety-nine percent of the time, the liver is the most common source of their symptoms. Please do not attempt a liver detoxification program without consulting a qualified nutritionist. Do increase your cruciferous vegetable intake. Arugula, Brussels sprouts, broccoli, cabbage, and cauliflower are just a few of the vegetables high in sulfur which is vital for phase 2 liver detox. The use of herbs can be very effective in reducing liver inflammation, but must be used with strict nutritional supervision.